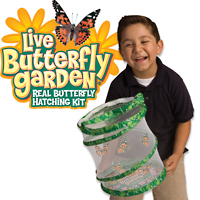 Insect Lore was kind enough to send me a Butterfly Garden kit with live caterpillars a few weeks ago to facilitate the coolest review I have ever completed! I can’t wait to share more info with you about this really cool company and their educational products. “Insect Lore was founded in California's San Joaquin Valley by Carlos White, an entomologist working with insects in the agricultural industry. In 1965, he had an idea to create a kit through which people of all ages could witness the metamorphosis of a real, live butterfly. It seemed like a great idea - but the key to its success would be to create a recipe for caterpillar food. This would enable the caterpillars to eat and get enough nutrition to become healthy adult butterflies. How hard could that be? As the next three long years of trial and error proved, quite hard indeed. Mr. White finally came up with a successful dietary formula for the Painted Lady butterfly caterpillars in 1969. It was then that The Butterfly Garden was born. The concept was simple but revolutionary at the time: butterfly lovers would go into a store and purchase a kit which included a certificate that could be mailed to Insect Lore's "butterfly nursery" in order to receive live caterpillars by mail. The caterpillars would be shipped to the customer in a special jar that included Mr. White's unique caterpillar food. In time, the caterpillars would eat the food, change into chrysalides, and finally emerge as adult butterflies in The Butterfly Garden hatching box. After a few days of observation, the butterflies would be released to benefit nature - delighting both the customer and the butterflies. When my kit arrived, my husband and I were really thrilled! We couldn’t wait to watch the caterpillars metamorphosis into a butterflies! The process was unbelievable easy. I placed the caterpillars in their plastic container in a cool dark place and observed them each day. I loved watching them grow and work their way to the top of the container. Once the caterpillars were inside their chrysalis I used a safety pin to attach the top of the container to the butterfly garden. Within 16 days of arrival, I had 5 gorgeous painted lady butterflies peacefully fluttering around in the garden, which is a pleasant mesh container that zips at the top. We kept the painted ladies for 5 days. We offered them carnations and slices of oranges and apples sprinkled with sugar water as food. When the time came to set them free, my family was sad. We enjoyed this project so much! Insect Lore has many amazing kits for sale. You can hatch butterflies, moths, jelly fish and fish to name a few. You can also grow lily pads, which sounds quite fun! My family is already discussing trying our hand at raising moths. I loved that the Insect Lore Butterfly Garden was so easy to use. There is virtually no work and all you need is water, a tablespoon of sugar, a flower and a safety pin. I loved that we learned about how caterpillars turn into butterflies and we could watch their development. I also loved that the kit is affordable, at under $20. This is a perfect summer project to keep the family learning. 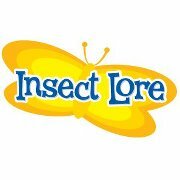 I would recommend Insect Lore to anyone, from parents to educators. There are many kits available to meet a variety of interests and budgets. One very lucky reader will win a Butterfly Garden of their own, thanks to the kindness of Insect Lore! To enter via the rafflecopter form below! I want to take a minute to tell you about a really fantastic project I learned of via the Insect Lore Facebook page. In honor of the 1.5 million children who lost their lives during the Holocaust, The Holocaust Museum is collecting handmade butterflies to display. You can create a butterfly and send it to the museum to be included in this meaningful and moving display. My family is going to work on our butterflies this week. This would be a great way to teach your children about the holocaust while paying a tribute to the children who perished, and keeping their memory alive. Ladybug Land. 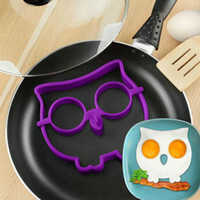 I would love to have this. I love the butterflies and the ladybugs! The Butterfly Habitat is my favorite! I really want to try this! I love butterflies. I have some amazing pics I took at the TN Aquarium. I got super close up. I'd love to be able to capture more pics with a butterfly garden of my own.